Charged with Possession of Marijuana? What happens to your license? Being charged with marijuana possession can lead to some unexpected consequences which affect your ability to drive. Learn what you’re facing and what I can do to help you fight it! I am charged with possession of marijuana. What will happen to my license? 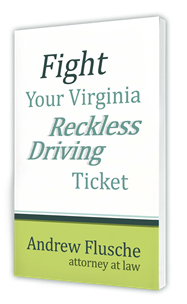 If you are charged with possession of marijuana in Virginia, you are facing the possibility of six months loss of your license. A marijuana conviction in Virginia falls under the Drug Control Act which requires six months loss of your license for any conviction under that Act. 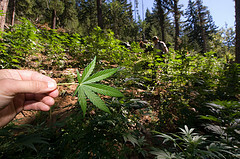 Therefore, if you are found guilty of marijuana possession in Virginia, you would lose your license for six months. Even if you’re currently not licensed, it will be six months from the conviction until you could get a license, so it suspends your ability to get a license. What if I don’t live in Virginia? If you’re licensed in another state, then your privilege to drive in Virginia would be suspended. For out-of-state residents this means that you would not be legally allowed to drive through our state for six months. What alternatives are there to license suspension? The main way that we can seek to avoid license suspension for a Virginia possession of marijuana charge is by fighting the charge head on. If the charge is dismissed, then obviously there would be no license suspension. Another option for avoiding license suspension is to try to have the charge amended from possession of marijuana to possession of drug paraphernalia. This is still a misdemeanor charge, and is still a serious offense. However, in some cases because there is no license suspension. This is a statute that results in a fine, but that depends upon your record. What if I am a first time offender? Even if you get a first offender disposition in court, your license still has to be suspended for six months IF you were operating a vehicle at the time of the offense. It is suspended during your probation period. If you were NOT operating a vehicle at the time of the offense, your license does NOT have to be suspended, but the Fredericksburg area judges will impose an extra 50 hours of community service. Yes. First, you may be eligible for a restricted driver’s license if you get suspended. It’s fairly routine to get restricted privileges in marijuana cases, as long as you have permissible reasons to be driving. For example, Virginia law allows restricted privileges for purposes such as work, school, minor childcare, medical appointments, and other things. Second, some marijuana possession cases can be negotiated to an amended charge of “possession of drug paraphernalia.” The good news with that change is that NO license suspension is possible under that offense. It’s still a misdemeanor charge, but at least it saves you the hassle of the license suspension, restricted license, and reinstatement fee. Most importantly, you may have a defense to your charge. If you can beat the charge completely, your license is safe. As you can see, if you’re charged with Virginia possession of marijuana you should contact me today to see if we can fight your case. If the police did anything wrong during your encounter, that could be used in court for your benefit. Then we’ll talk about what alternative outcomes might be available to try to save your driver’s license. We can talk about the defenses you might have. You may have defenses to try to beat the charge completely. At the very least, we can try to amend the charge to something like possession of paraphernalia which does not have license implications. There are ways to save your license when you’re charged with possession of marijuana. Contact me today so we can work on those techniques together.